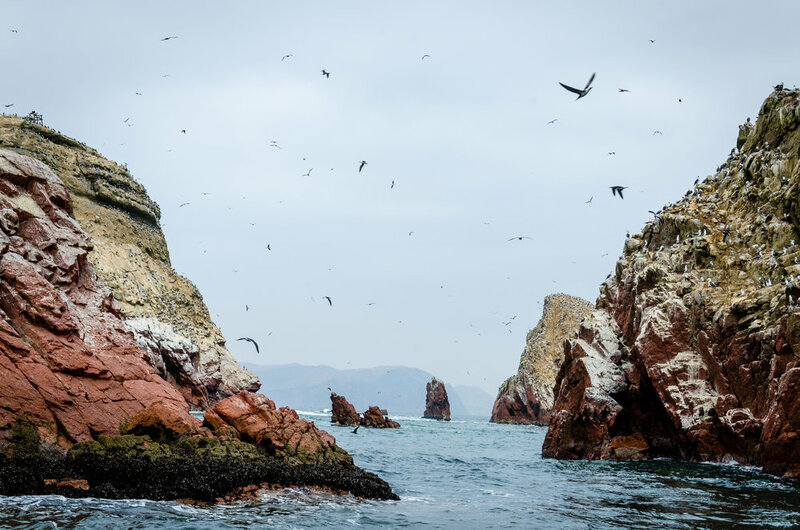 Near the city of Paracas is a small group of islands that serves as an important sanctuary for many species of wildlife. The rock formations that compose the islands are accessible only by boat. So, the tour boats for this ecotourism excursion are plentiful and run regularly. The day we toured, the sky was gray and cloudless. Not a great sky for any photographer. One of our Peruvian friends calls this a "donkey belly" sky. I love that description. It takes a little bit of the sting out of knowing that this is not the optimum sky for your vacay pics. Even so, I was still excited about what we would see on our tour. The first thing we passed going out (and returning) was a view of the giant geoglyph called "El Candelabro" (Candelabra). No one knows who etched the three-pronged figure, when it was created, or what it signifies. There are theories that it may represent a local cactus or the Southern Cross constellation. But the most popular theory seems to be that it may have served as a navigational guide for sailors. 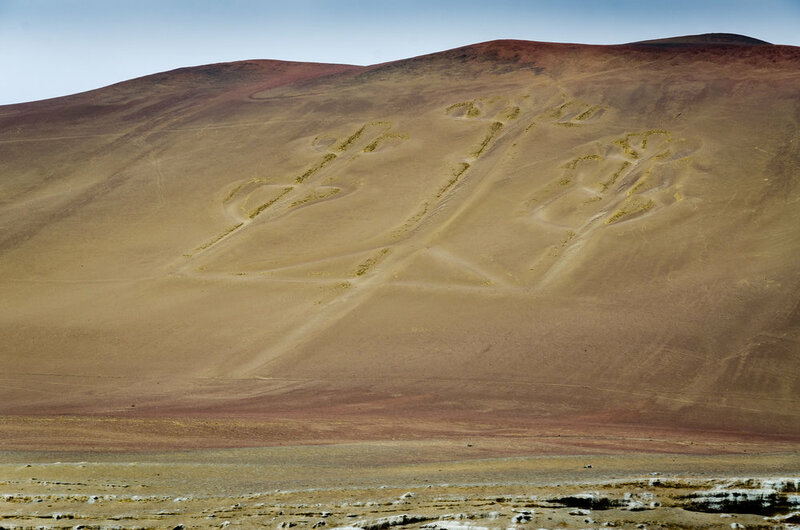 It is in close proximity to the Nazca lines, so I think it is just another one of the mysteries of Peru. Next, we ventured to the shores of the islands where there were more birds than I've ever seen in my life... yes, even more than that certain Alfred Hitchcock movie that scared the bejeebers out of me as a kid. 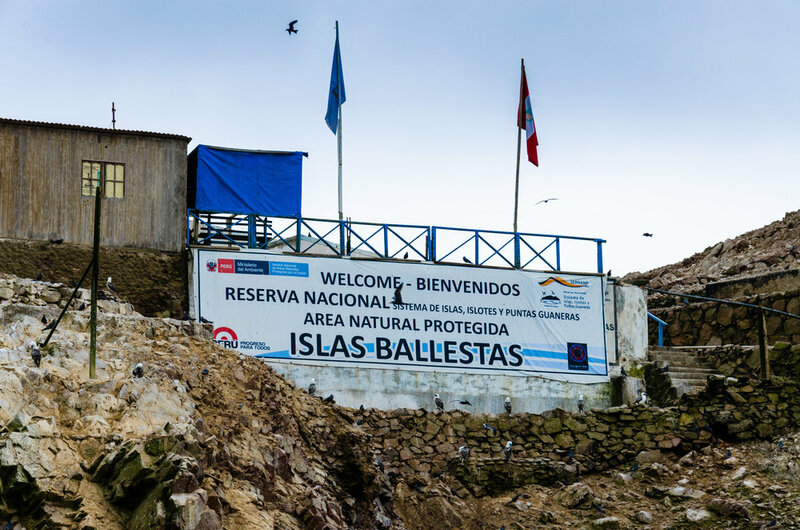 We were even lucky enough to see three Humboldt penguins. 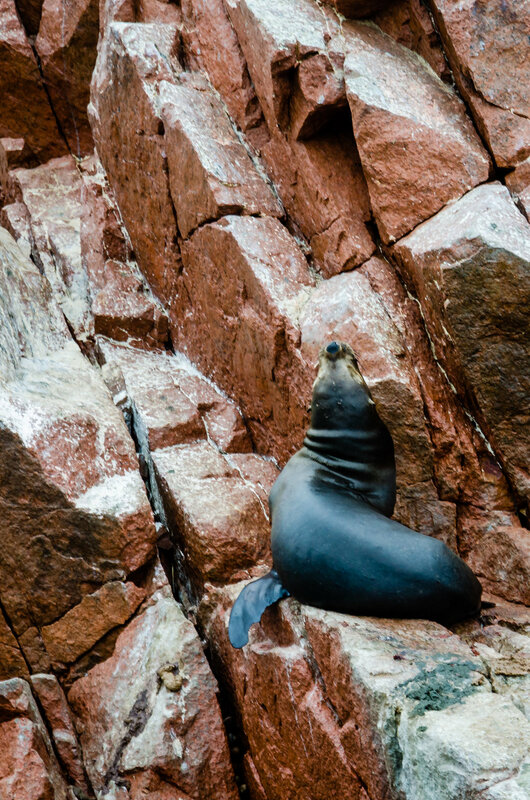 There were also guanay cormorants, Peruvian pelicans... but, I think my favorite were the sea lions. 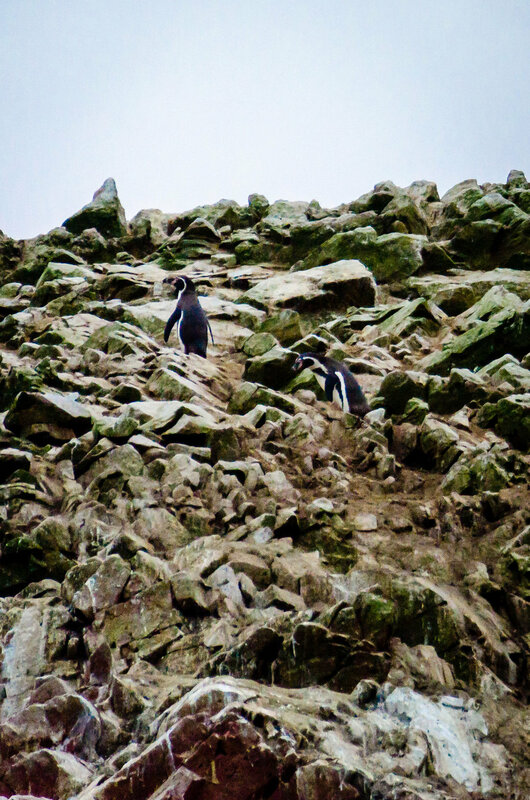 They were perched on rocks in a languid, self-assured way that seemed to suggest that they could not care less if we were there. What a great wildlife sanctuary to see all these species living together. I would go back any time because I am sure you would see something new with each trip. I Got My Machu Picchu Passport Stamp!